A no-longer-wanted stone traded for a gorgeous natural brown Princess-cut diamond – now made this ring for a lovely single 40-something lady to wear every day! A celebration of shared history now updated! 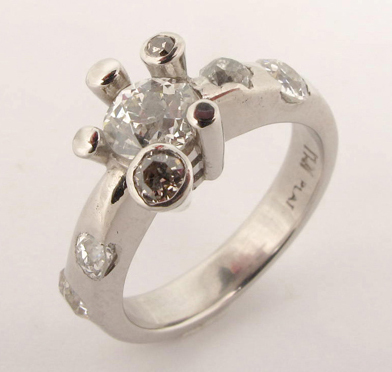 1950’s gold diamond ring, reminiscent of the Olympic Torch! Now set in rose gold and silver, an enchanting engagement ring for a thoroughly modern couple. This diamond ring was commissioned by the groom from Heaven!! His secret research let him know exactly what his lady-love wanted. So when he popped the question, everything worked out perfectly! Old-cut diamonds from two broken antique rings were put together in this lovely platinum ring – now bringing joy as a contemporary engagement ring, proving again that Diamonds are Forever! The same Diamond, reset into a Platinum Band – an updated look. 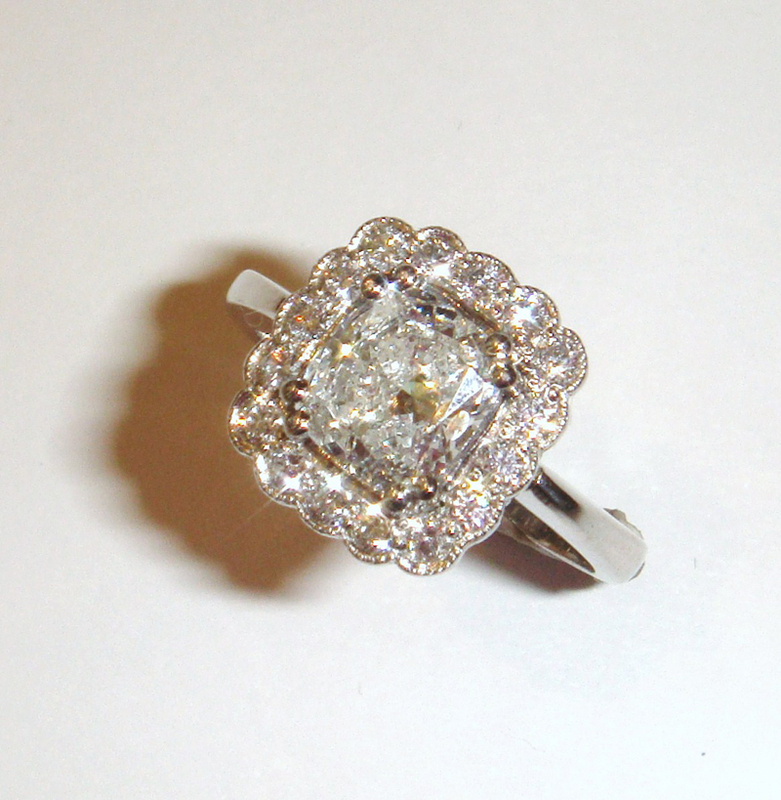 This beautiful diamond is very much more understated and is now being worn almost daily. A quick survey on who is wearing their engagement ring found that, if one is a lady of a certain age, the chances are that your ring is not being worn as often as it should be. 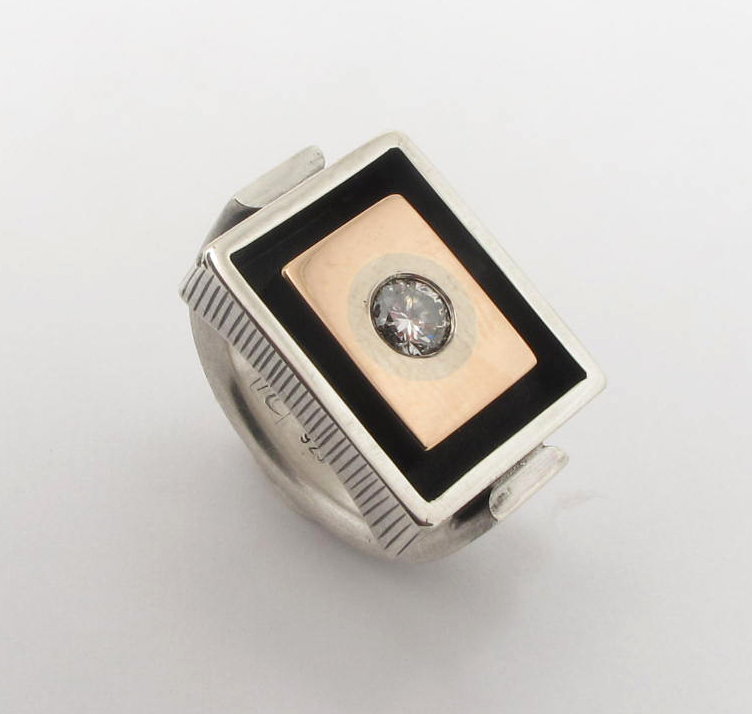 The ring might be too small, out of fashion – or perhaps even too showy to wear every day. We had a wonderful experience recently – someone we know very well had a beautiful 2 carat diamond in a traditional solitaire setting . The ring was lovely, but was spending most of the time in a Bank Safety Deposit Box as it was too flashy for everyday wear. The owner decided to have it reset to celebrate the wedding of her son. We came up with a modern design – using that most wonderful of metals – platinum. 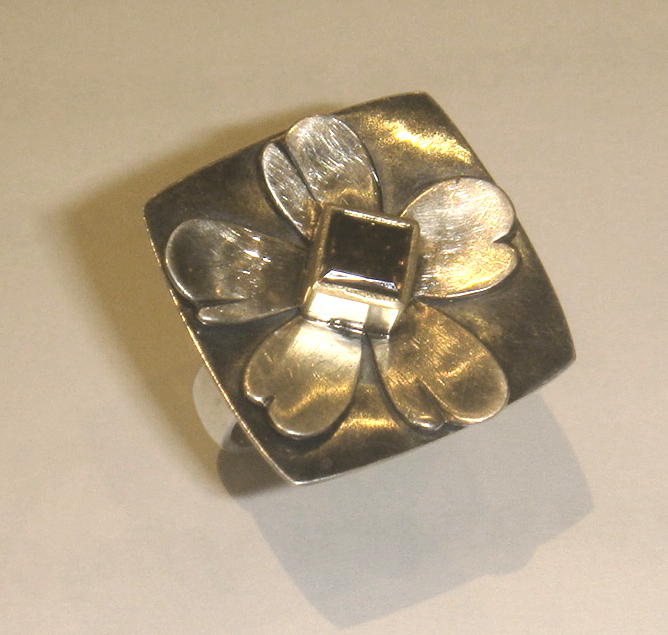 Here is the new ring – as understated as can be and now extremely wearable. Let us know if you have any old jewellery that you would like to up-cycle.